J.E. 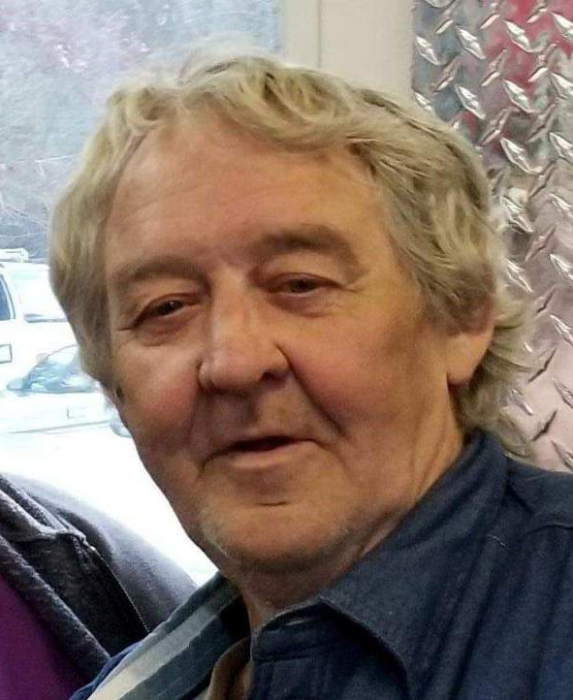 “Jake” Self Jr., 71, of Gastonia passed away March 21, 2019. Jewel Edward, also known as “Jake” was born in Cherokee County, NC to the late Jewel Edward Self Sr. and Eleene McNabb Self. Jake was also preceded in death by daughters, Rebecca Spears and Rhonda Self, wife Angela Self, and step-son Richard Dula and a grandchild Ashley Owen's. Jake was a US Army Veteran and loved the mountains especially while growing up in Cherokee, NC. He enjoyed being a mechanic and tinkering on vehicles, fishing, and trying to be the life of any crowd. Jake is survived by the mother of his daughters, Patricia Self; daughter, Vickie (Michael) McMahan; daughter, Carrie (David) Owens; Step-son, Randy (Nikita) Dula; Son-in-law, Chad Carlton;grandchildren, Kira Miller, Kaleb Carlton, Kynadee Carlton; Shelby (Michael) Green, Jordan McMahan, Gabriella McMahan; Jessica Owens, Ashley Owens, Peyton Owens, Nathan Owens; Lana Dula and Kasie Dula.Great grandchild, Raelynn Tucker. Also, John (Sambo) Warner, whom he considered his step-son, and ALL his family.Jake had many friends while living in the Gastonia area. He is from a large family of numerous Sisters, Faye Hall, Mary Rickerson, Ramonia Fostain Richardson, Juanita Childers, Joy Dimmeth, Edgal Chilson, Mozelle Lee, Elizabeth Miller, Marie Hogsed, Rethal Hogsed, and Geneva Floyd: Brothers, Herbert Cole, Jerry Self, and Charles Michael Self. Some of his sisters and brothers have preceded him in death.Jake had many friends and family while living in the Gastonia area whom will miss him dearly. Memorial Services to celebrate his life will be held at 2 PM Friday, April 19th at Benson Funeral Service Chapel, 101 Oak Grove St., Mt. Holly NC. Visitation will be one hour prior to service. Inurnment service will be held on Tuesday, May 7th (Jakes B-Day), at 1 PM at the VA National Cemetery in Dayton, Ohio.